** All prices are pre-tax. All promos are limited, book ASAP for price. 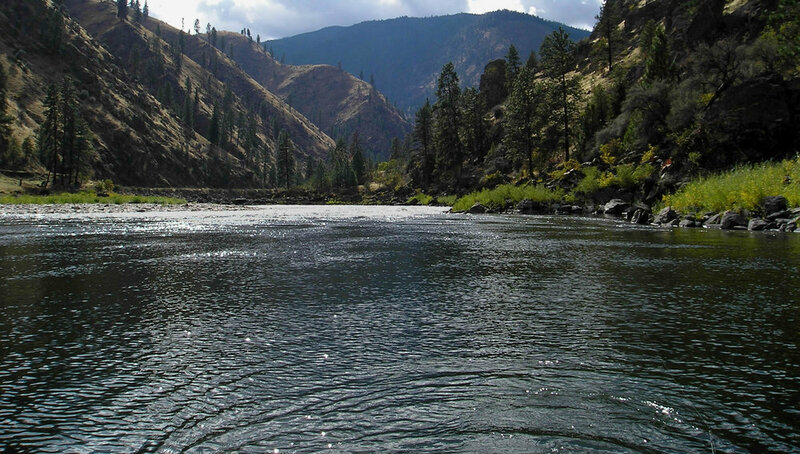 Salmon River is synonymous for large steelhead trout, (4-20+ lbs. ), and scrappy smallmouth bass up to 5 lbs. Bring your 7& 8 weight rods with disc drag reels as these fish have power to run deep and hard. Large flies either weighted or dry is the order for the day. 91/2' to 10'+ rods aid in proper presentations or large river conditions. 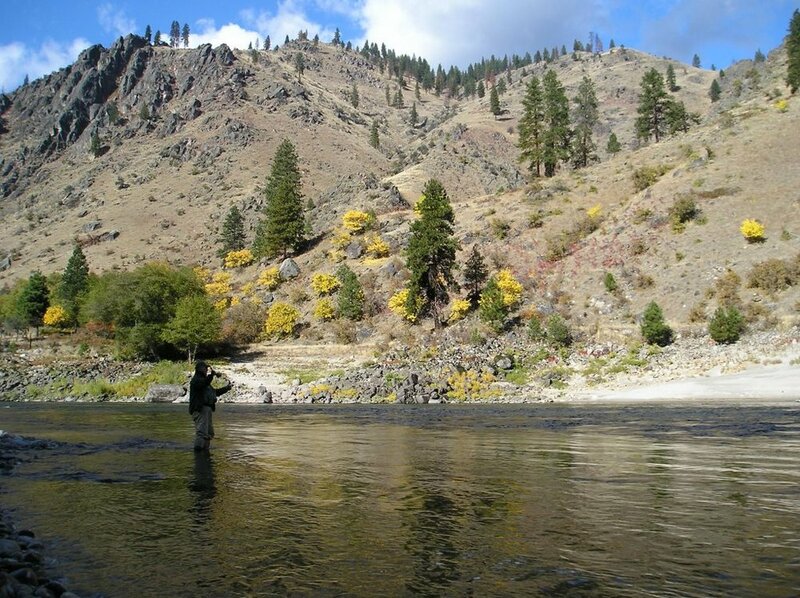 We fish over 110 miles of the Salmon River at both Riggins and Salmon. We have the versatility and flexibility to fish the 'hot' areas to increase your chances for success. Consider 6-7 weight rods still in the 91/2' to 10'+ to contend with long cast and possible windy conditions for the upper Salmon River at Salmon Our drift boats get you to where the fish lie and our guides educate you on the local fly fishing methods that produce strikes. Of course, it is your task to hook and land the fish, but we can coach and teach you the best way to accomplish that. Beginners and experts are welcome. Accommodations are available at our Lodge near Riggins or can be arranged in the town of Riggins or Salmon or look at our Idaho Fly fishing Packages on the Salmon River at Riggins or the Salmon River at Salmon. No need to say more. The most incredible fighting sport fish in Idaho. The one thing in this state that we most agree on is the preservation, enhancement, and spiritual need for this great fish. And we know where they live! Whether it is with a fly rod or conventional gear, come and let our drift boats get you to where the fish are. No need to fight the crowds as you can enjoy the peace and serenity of an Idaho Salmon Fishing adventure with us.